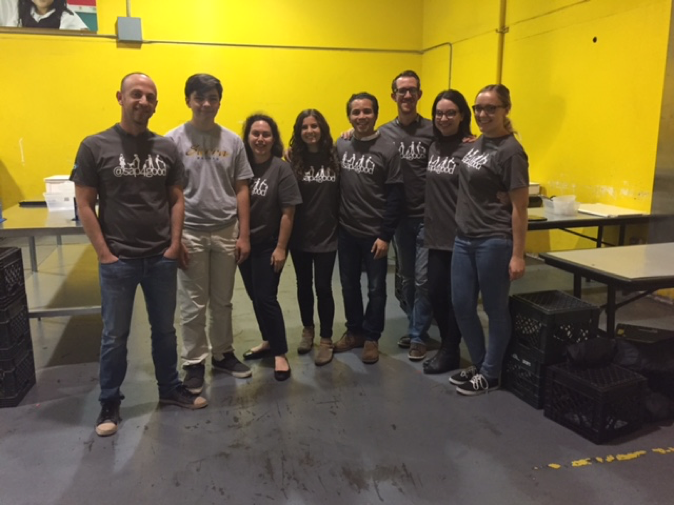 Our group had a chance to visit the SF-Marin Food Bank on Tuesday evening. The food bank is always a great and rewarding option for volunteering, not only are there multiple sessions available daily, but you are able to immediately quantify the impact you are making for those less fortunate in the community. This time around we were helping to sort food that will be made available to families for their Thanksgiving dinners (green beans!). This is my second year participating in Month of Service and beyond the rewarding aspect of helping others, my next favorite aspect of it is the ability to interact with team members from the other offices and companies within the SAP family. Because we work on different products and in different offices, it is easy to forget that we are part of the same team working towards the same goal; working together during Month of Service allows for us to work together on a common goal, and that to me is invaluable. If anyone is looking for an event to attend and has not had a chance to visit the Concur SF office, I encourage you to sign up for one close to here, and let me know which one, so I can sign up as well.